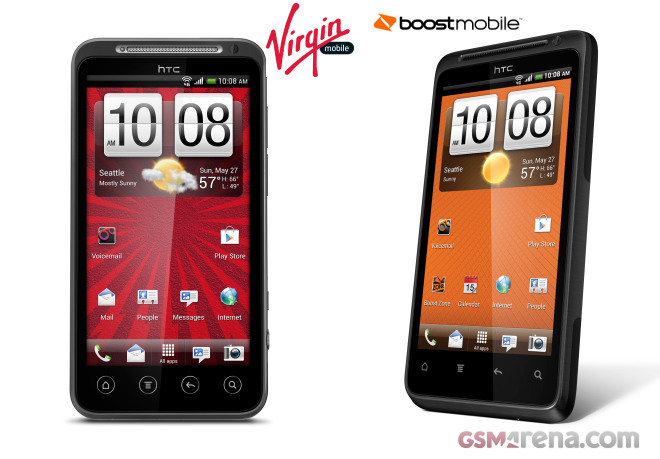 Both Virgin Mobile and Boost Mobile launched their own versions of Sprint’s HTC EVO 3D. They are both contract-free, and come with tempting, affordable 4G plans. The EVO V 4G and EVO Design 4G are the same as the original HTC EVO 3D for Sprint, but have Android 4.0 Ice Cream Sandwich and HTC Sense 3.6 pre-installed, along with a bundled 8GB microSD card. Both devices are not LTE-capable, instead they make use of the Sprint’s WiMax network to provide 4G speeds. Both handsets will be available on May 31 for $300 contract-free. The no-contract 4G plans will include unlimited data and messaging and will start as low as $35-$40. For more information check Virgin’s and Boost’s press releases.